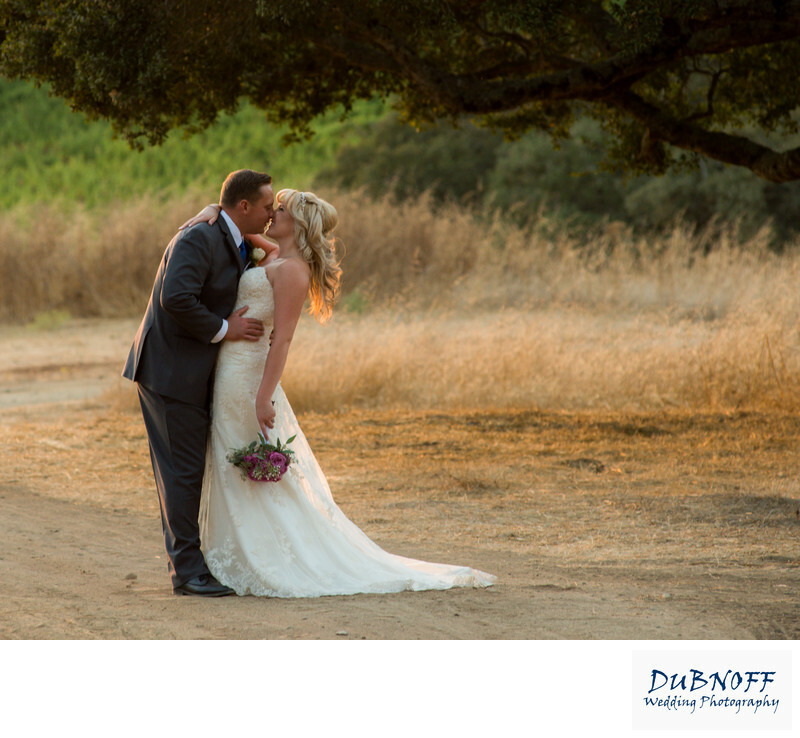 We have been photographing wedding couples throughout the San Francisco Bay Area for many years. We know some of the best spots in the area to make sure you receive beautiful photographs of your marriage. The photo above was taken just moments before sunset with the beautiful golden light that this brings. We positioned the couple so the low sunlight would provide nice rim lighting on them. We also turned them slightly so the sun would show in the bride's hair. These adjustments were all done with very little time because the sun sets so quickly. This type of positioning is the best way to provide nice light and great depth and dimension to the photo.